Another Escape Room Proposal at ConTRAPtions! 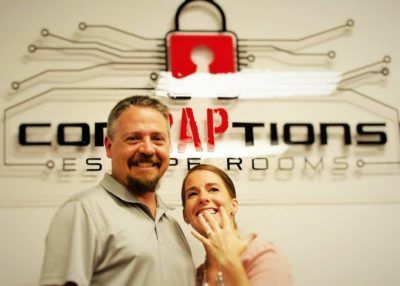 A second round of romance came our way last month with another escape room proposal at ConTRAPtions! 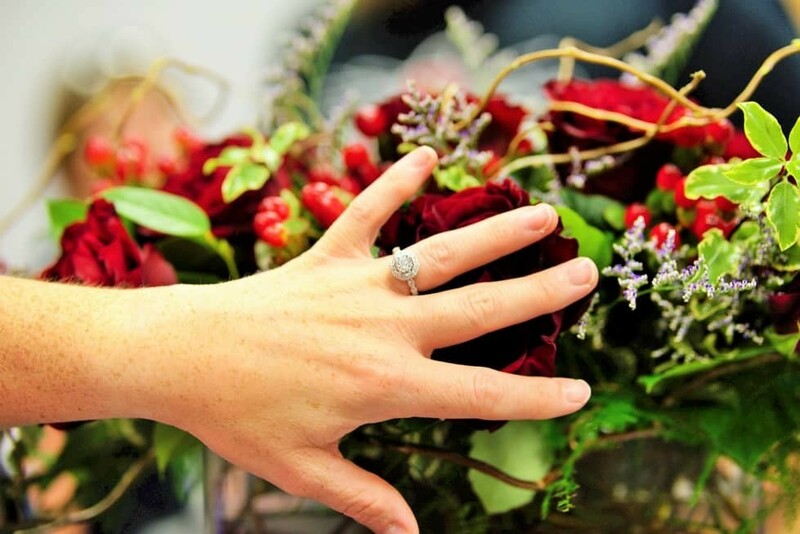 We were honored to help Joel orchestrate a fantastic surprise for his bride-to-be, LeAnne. And what a job he did! He selected a custom riddle for the couple’s keepsake version of the Tiger’s Eye diamond, composed a touching note, and picked the proposal song. To top it off, he even gave the flower shop the dimensions of the drawer where we hid their bouquet. Talk about planning! At the finish it was a beautifully carried out escape room proposal indeed, with no suspicions on the part of his beloved. To add to the excitement, a close group of friends joined the couple. A few of them were in on the surprise, including their pals Nick and Ken. We gave Nick a sneak peak of the room to help ensure timing, and Ken was the secret photographer. Thank you Ken for letting us post some of your photos! It came down to the wire, with the couple solving the last puzzle (ultimately the one that would reveal the proposal) with about 4 minutes left on the clock. In spite of the pressure, this group of friends worked very well together. As she opened the final drawer, LeAnne snatched the proposal note and began to read it out loud, thinking it was a clue, until she got to the ‘Will you marry me?’ part. Then came the moment of truth! Joel knelt down with the ring, and the rest was tears, laughs, and hugs. 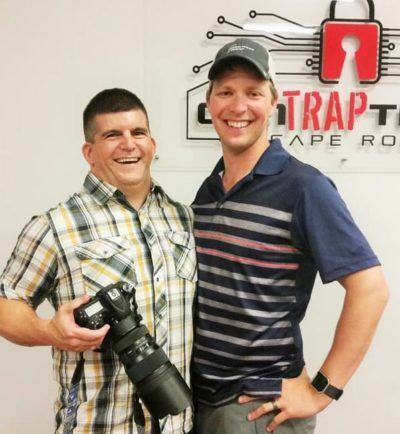 Another escape room proposal has joined the ranks of memorable engagements! Congratulations Joel and LeAnne, may you be very blessed!